If you're in need of a laugh today, this video will do the trick! The star-studded cast of Avengers: Infinity War recently sat down with E! News' Sibley Scoles to play a hilarious game of Mad Libs that you need to check out. Chris Pratt, Zoe Saldana, Don Cheadle, Anthony Mackie and Elizabeth Olsen were among the film's stars who joined in on the fun with us. Before getting started, Mad Libs expert Pratt broke down the rules. 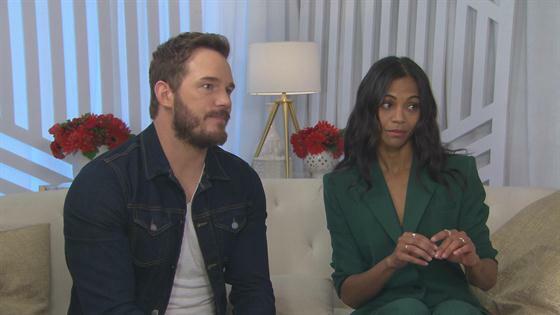 "She's gonna ask you for things like verb, noun, adjective, adverb...and we just give a word, and then at the end she constructs a sentence based on her words and our words and they're always really funny," Pratt explained to Saldana. "That was amazing," Saldana replied. Now that the rules have been explained, it's time to find out why you should see Avengers: Infinity War, Mad Libs style! Take a look at the video above to see the cast tell you why you need to check out the movie...all while poking some fun at co-star Mark Ruffalo! Then tell us what you think about the game in the comments below!